Paul Pierce is an American former professional basketball player. His birth name is Paul Anthony Pierce and he is nicknamed "The Truth". He played 19 seasons in the National Basketball Association (NBA). He played in the small forward position. He was drafted by Boston Celtics with the 10th overall pick in the 1998 NBA draft. In his 15 seasons with the Celtics, he led the Celtics into 2 NBA finals, winning once in 2008. He later played for Brooklyn Nets, Washington Wizards, and Los Angeles Clippers. He was resigned by the Celtics in July 2017 enabling him to retire as a member of the organization. He retired from professional basketball in 2017. He posted 26,397 points, 7,527 rebounds, and 4,708 assists during his entire NBA season. He played college basketball at Kansas. One of the only three players to score more than 20,000 career points with the Celtics. 2008 NBA Champion and 2008 NBA Finals MVP. Where was Paul Pierce Born? 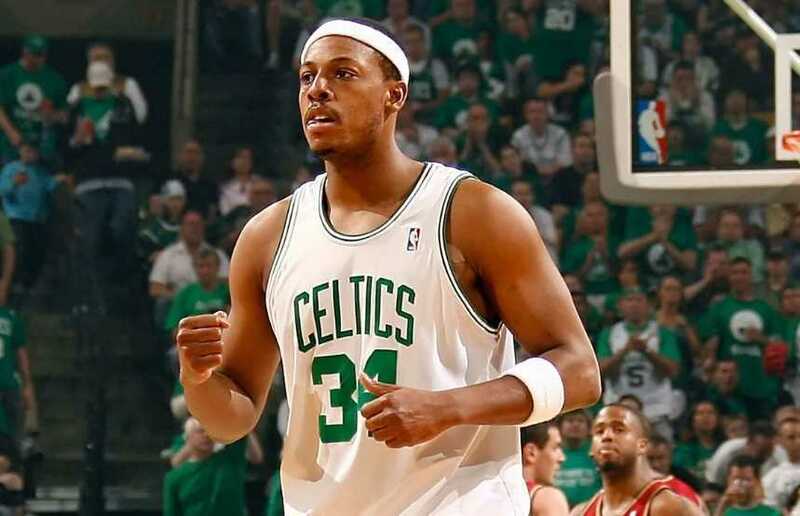 Paul Pierce was born on 13 October 1977. His birth name is Paul Anthony Pierce. His birth place is in Oakland, California in the United States. He holds American nationality. He grew up in Oakland, California. His family later moved to Inglewood, California. He attended Inglewood High School. He was cut from Inglewood High's varsity basketball team in his freshman and sophomore years. Thus, he was thinking about transferring to another school. By the end of his junior year, he became the star of the team. He participated in the 1995 McDonald's All-American Game and Slam Dunk Contest. He was honored as one of the 35 Greatest McDonald's All-American in 2012. He enrolled at the Kansas University where he played between 1995 and 1998. He earned honorable mention All-Big Eight honors and was selected second-team Freshman All-American by Basketball Weekly. He was also honored as the Big Eight Co-Freshman of the Year with Colorado's Chauncey Billups. He earned a spot on the roster of the USA's Under 22 team and helped the USA go unbeaten in the World Championship-qualifying tournament in Puerto Rico. He captured the first of two Big 12 Conference Tournament Most Valuable Players awards as a sophomore. He averaged 21.7 points and guiding Kansas to the inaugural tournament championship. He won Most Valuable Player honors in both the Preseason NIT and the Big 12 Conference Tournament as a junior in 1997-98. He was selected First Team All-Big 12 Conference by both the AP and Coaches and was named Associated Press First-Team All-American and a finalist for the 1998 John Wooden and Naismith awards. He ranks as the fifth-leading scorer in Kansas history with 1,786 points and 11th on the all-time rebounds list with 676. He forgo his senior year at Kansas to enter the 1998 NBA draft. Boston Celtics selected him in the first round with the 10th overall pick in 1998 NBA draft. He averaged 16.5 points finishing third in the voting for Rookie of the Year honors. He also averaged 6.4 rebounds, 2.4 assists, 1.7 steals per game in his rookie season. He averaged 19.5 points, 5.4 rebounds, 3.0 assists, and 2.1 steals per game during his second season. He averaged 25.3 points, 6.4 rebounds, 3.1 assists, 1.7 steals per game in 2000-01 season. He averaged 26.1 points, 6.9 rebounds, 3.2 assists, 1.9 steals per game in 2001-02 season. He led the Celtics to the playoffs for the first time in seven years and on to the Eastern Conference Finals. He scored 19 points in the final 12 minutes against the New Jersey Nets while the Celtics won 94-90 in Game 3 of the conference finals. It was the greatest fourth-quarter comeback in NBA playoff history. He averaged 25.9 points, 7.3 rebounds, 4.4 assists, 1.8 steals per game in 2002-03 season. He averaged 23.0 points, 6.5 rebounds, 5.1 assists, 1.6 steals per game in 2003-04 season. He averaged 21.6 points, 6.6 rebounds, 4.2 assists, 1.6 steals per game in 2004-05 season. He averaged 26.8 points, 6.7 rebounds, 4.7 assists, 1.4 steals per game in 2005-06 season. He averaged 25.0 points, 5.9 rebounds, 4.1 assists, 1.0 steals per game in 2006-07 season. The Celtics acquired fellow NBA All-Stars, Ray Allen, and Kevin Garnett prior to the 2007-08 season. The pair combined with Pierce to form a "Big Three". He averaged 19.6 points, 5.1 rebounds, 4.5 assists, 1.3 steals per game in 2007-08 season. The Celtics defeated Los Angeles Lakers 4-2 to win the 2008 NBA Championship. He was named the NBA Finals MVP after averaging 22 points per game over the six-game series. He drew controversy after winning NBA championship when he said that the Kobe Bryant is not the best player in the world, but he is. He averaged 20.5 points, 5.6 rebounds, 3.6 assists, 1.0 steals per game in 2008-09 season. He averaged 18.3 points, 4.4 rebounds, 3.1 assists, 1.2 steals per game in 2009-10 season. He became the first Celtic since Larry Bird to win the Three-Point Shootout at the 2010 NBA All-Star Game. They faced off against the Lakers in a rematch of the 2008 NBA Finals with both teams making to the 2009 NBA finals. The Celtics were defeated by the Lakers. He averaged 18.9 points, 5.4 rebounds, 3.3 assists, 1.0 steals per game in 2010-11 season. He averaged 19.4 points, 5.2 rebounds, 4.5 assists, 1.1 steals per game in 2011-12 season. He averaged 18.6 points, 6.3 rebounds, 4.8 assists, 1.1 steals per game in 2012-13 season. The Boston Celtics and Brooklyn Nets reached a deal on the day of the 2013 NBA draft to trade Pierce, Kevin Garnett, and Jason Terry for future first-round picks in 2014, 2016, and 2018 drafts and Kris Humphries, Gerald Wallace, Kris Joseph, MarShon Brooks, and Keith Bogans. He averaged 13.5 points, 4.6 rebounds, 2.4 assists, 1.1 steals per game in 2013-14 season. He became the only active NBA player and the sixth player in NBA history to score 1,000 points in 15 straight seasons. He also became the fourth active player and the 18th player in NBA history to score 25,000 points in April 2014. He signed a two-year deal worth $11 million with the Washington Wizards in July 2014. He averaged 11.9 points, 4.0 rebounds, 2.0 assists, 0.1 steals per game in 2014-15 season. Following his first season with the Wizards, he opted out of the second year of his contract to become a free agent. He signed a three-year deal worth $10 million with the Los Angeles Clippers in July 2015. He averaged 6.1 points, 2.7 rebounds, 1.0 assists, 0.5 steals per game in 2015-16 season. He announced in September 2016 that the season would be his last in the NBA. He averaged 3.2 points, 1.9 rebounds, 0.4 assists, 0.2 steals per game in 2016-17 season. He was waived by the Clippers in June 2017. Pierce signed a ceremonial contract with the Boston Celtics in July 2017 in order to retire with the team. The Celtics retired his jersey in February 2018. His jersey was raised to the rafters of TD Garden in a postgame ceremony following the Celtics-Cavaliers game. He became the 23rd person in Celtics history to be honored. He was the member of the United States national team for the 2002 FIBA World Championship. He averaged 19.8 points per game. He was selected for the 2006 FIBA World Championship. But, he did not compete due to minor off-season surgery. Named First Team All-America by the Associated Press after his junior year at the University of Kansas. Named Big Eight Freshman of the Year in 1995–96. MVP of the Big 12 Conference Tournament in both 1997 and 1998. Member of the All-Big 12 First Team in 1997–1998. Member of the US national team in the 2002 FIBA World Championship. Member of the 2006 USA Basketball World Championship Team (Did not play due to an elbow injury). Most points scored in a half (including Overtime): 46 (December 1, 2001, 2nd Half vs. New Jersey Nets). Most free throws made in one game: 20 (November 2, 2002, vs. New York Knicks). Most free throws attempted in one game: 24 (November 5, 2005, vs. New York Knicks). Most free throws made in one half: 14 (March 2, 2001, vs. Utah Jazz). Most free throws made in one season: 627 (2005–06, breaking his own record of 604 set in 2002–03). Most free throws attempted in one season: 812 (2005–06, breaking his own record of 753 set in 2002–03). Most steals in one game: 9 (tied with Larry Bird; December 3, 1999, vs. Miami Heat). Most free throws made without a miss, playoffs: 21 (Game 1, 2003 Eastern Conference First Round). Most points scored in one half, playoffs: 32 (Game 4, 2003 Eastern Conference First Round vs. Indiana Pacers). The highest scoring average through one month: 33.5 PPG (February 2006). Only Celtics player in franchise history to lead the NBA in total points scored in a season, scoring 2,144 points in 2001–02. As of 2011, Pierce is the Celtics' second all-time leading scorer behind John Havlicek. He also ranks third in team history in career scoring average, behind Isaiah Thomas and Larry Bird. Who is Paul Pierce married to? Paul Pierce is a married man. He is married to Julie Pierce. The couple has 3 children, two daughters, Piranna, and Adrian, and a son, Prince. He was stabbed 11 times in the face, neck, and back on 25 September 2000 at a late night dance club, Buzz Club in the Boston Theater District. He also had a bottle smashed over his head. His teammate, Tony Battie, and Battie's brother saved his life by rushing him to a nearby hospital, Tufts-New England Medical Center immediately. He underwent lung surgery to repair the damage. Despite the incident, he was the only Celtic to start in all 82 games in the 2000-01 season. He pledged $2.5 million to help expand the high-tech surgical center at Tufts-New England Medical Center. He discussed battling depression for a year in August 2018 after his stabbing. He revealed that he dealt with paranoia over crowds and post-traumatic stress stemming from the incident. What are Paul Pierce's Body Measurements? Paul Pierce stands at a height of 2.01 m i.e. 6 feet and 7 inches tall. He has a body weight of 235 lbs i.e. 107 kg. He has an athletic body build. 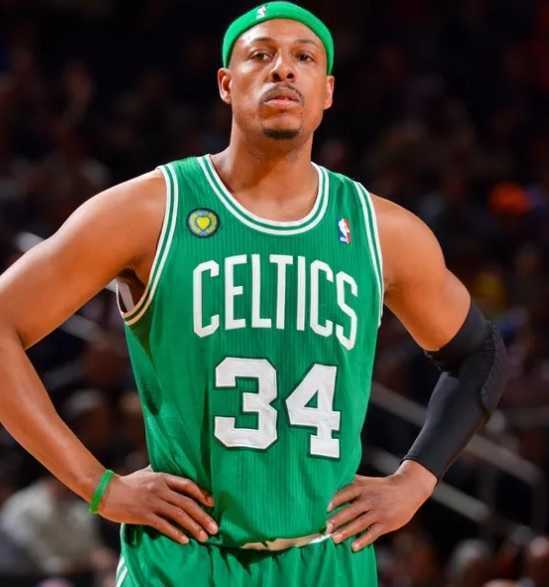 What is Paul Pierce Net Worth? Paul Pierce is one of the successful basketball players in NBA history. He spent 19 seasons in the NBA playing for Boston Celtics, Brooklyn Nets, Washington Wizards, and Los Angeles Clippers. Before retirement, playing professional basketball was his major source of income. As of 2019, his net worth is estimated at $70 million. Shaquille O'Neal gave him the nickname "The Truth". He grew up a Los Angeles Lakers fan and dreamed of playing for the team.